Water- the blessing of almighty creator and one of the major component essential for all the living creatures of the earth is purposeful in hundreds and thousands of ways. Although it will be evident that all the human beings, animals and marine life needs the water to survive, there are thousands of other uses of water which must be highlighted and proper efforts to protect our this precious source. Although water is one of the resources which are available in abundance, but it’s also true that no other resources are not as highly misallocated, misused and not understood properly as is the water. Water is important to be clean to use for healthy life and intact natural ecosystem, as well as our improver food are some of the things which need great care and preventive steps. Although picture will display much grim, there are more opportunities to use it more efficiently and preserve it for our next generations. Although most of the people are now using saving pumps and adopting the water saving briquettes, results are not yet much satisfactory as water and power management authorities are not acting upon their role. Every day, we come across many water saving eco-friendly gadgets as well as different techniques and suggestion for how to save our water and take care of our this scarce resource. 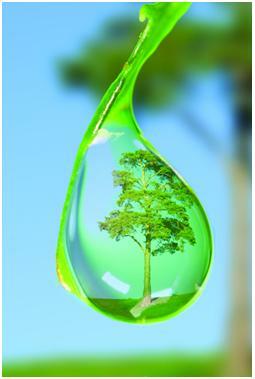 It is important to never use a drip, because dripping faucets will waste gallons of water every day. Similarly if a toilet has been leaked, it will waste more than 90,000 water gallons in just one month. Take the wrench if you cannot find a sanitary team to repair it and fit all the showers and sinks, before you are caught for wasting this precious resource. If you keep our existing sanitary but repair it and protect the extra consumption of water, it is most cheap and easiest way for saving extra water used. It will also be required sometimes to install the new fixtures. Use of low flow shower heads, dual flush and water savers will keep water level according to your consumption for drinking and washing the clothes and great deal of water saving today. Also currently used showerheads can also save more water than traditional shower used. This water saving device will cut down the water supply to 1.2 gallons per minute or even less than this, similarly it has a pause button which you can press while soaping your hands or face or when applying the shampoo. Aerators are also best to reduce extra water used in household for washing utensils or bath. Current researchers show that a faucet which will cost only $30 can save you as much as 45 gallons of 260 gallons water consumed in our homes each day. Similarly you can save 60-90 gallons more water each day by splurging on toilet flows. These changes, if applied together can save half of the water which is used by households every day. If will not only save water which was wasted as extra, but also will be significant impact on your water and electricity consumption bill. When water consumed by you for bath, washing the dishes and laundry or wasted without any use, it goes to water gutters and mixes up with other raw sewage, just have the same unlucky end. You must be aware about such facts and try to save your extra consumption of water by cultivating good water habits. Also use some tips while washing your dishes, taking bath or fill up the sink. Wash the dishes when there is enough quantity of them has been used. First fill the sink with water, put the entire dish and turn the water off. There is an old joke that takes the shower with friend only, which means take short showers or take shower only when it’s needed to stop extra use of water. To check how these tips will affect your all month water consumption, take a look at water bill and you will realize that much of the positive improvement will be there to experience every month when you have started them. 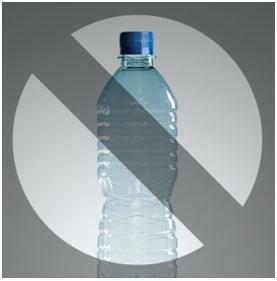 Bottled water has been proved scam by many of the measures taken around the world, so better to staff off the bottle. In many developed countries around the world, tap water is tested by government and offered to public in taps instead of filled in bottles. You can check the significant results about bottle water in database of National Tap water quality. Based on the facts which have been provided there, it has been found that tap water has better taste and has been tested with best quality. Water which is filed and offered in bottles has not much quality according to many studies and it is not usually pure to drink. A study about water filled bottles was taken in US by NRDC in which it was found that 1/5th of the water products which were tested had synthetic chemicals and most of the water which is offered in bottles doesn’t come from Artesian springs. Most of this water is tap water and there were no cleaning standards which were applied while offering water filled in bottles. This phenomenon is making the water not only costly but also the taste of pure qualitative water was dropped down. Harvesting of rain water is another main technique which is much important to save water and use it according to our needs. Put a rain barrel on your downspouts when it’s raining and later on use it for daily in irrigations. Water which has been used one time but still its fresh and can be used for other purposes is called ‘Grey water’. Water taken from clothes washing, dishwashing, showers and sink are common examples of water in household. But toilet water is in different category named as black water and has other treatment to make it useable. Also use car washers instead of washing your car at home, because those guys are efficient to save their water for which they pay bill. Water is one of our precious resources and it must be fully protected to keep clean and usable.